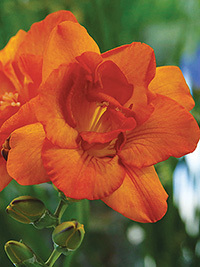 Bright Orange-yellow freesia, guaranteed to make a statement in the garden. Great as a commercial cut flower variety. Fragrant, 40cm.